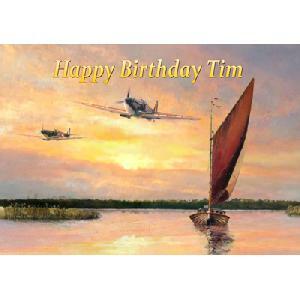 Greeting Card of a pair of 92 squadron Spitfires flying low over the Essex marshes. Can have a short message printed on the front. ie. 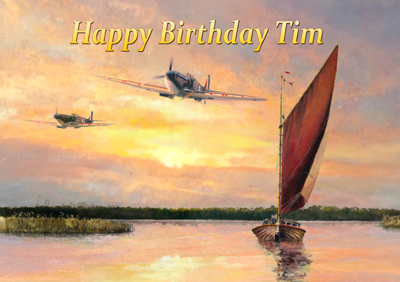 Happy Birthday Tim if required.